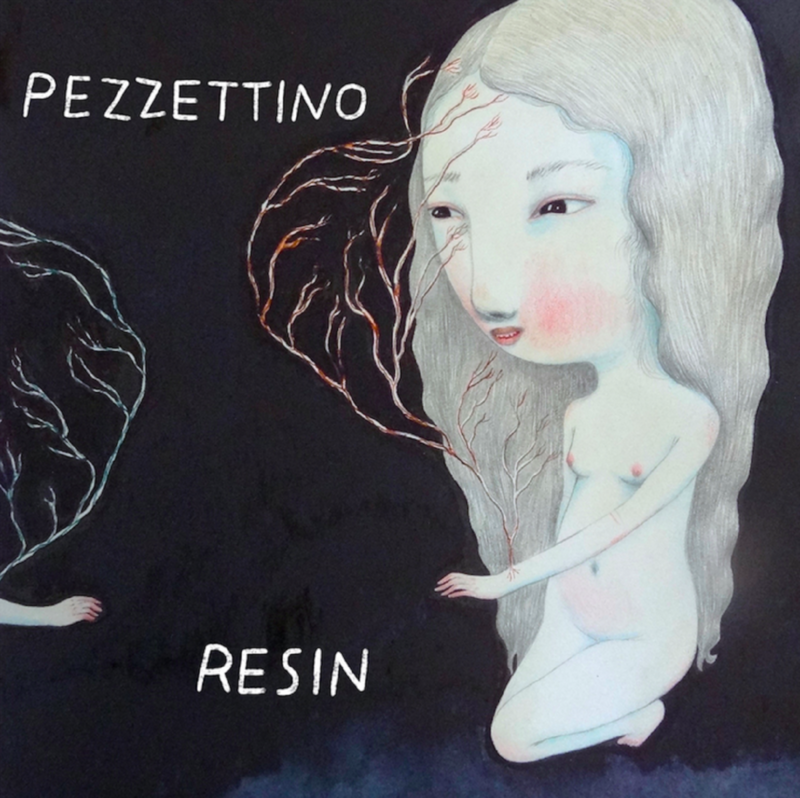 Pezzettino – Resin, is an artistic album by an equally artistic trio of musicians led by Margret Stutt (who goes by Pezzettino). Resin in the 11th album by this interesting group now based out of Oakland, CA, but came from as far as NY and Wisconsin to ultimately bring it to the west coast. Stutt plays classical piano, sings and plays accordion, with Carly Bond (guitars, synth, clarinet, vocals), and Andrew Maguire (percussion, drums), all making an equal team effort to these songs which tend to go together as each one plays out like a story if you catch the clues. Don’t hesitate to delve into the collection of songs like a storyline because even though the songs stand out on their own individual merit, they do have a running theme which becomes obvious if not already given away by the titles. “Home” is where it all begins and ends, so it naturally leads the pack of songs, but by no means has a lead single appeal. That is something which belongs more to songs in the middle of the album, but the second “wikiHow” is there to help guide you through it with a strongly suggestive tune. Rest assured this is where it starts to take off and get interesting. The intensity picks up as it goes, but “If You’re Listening,” definitely- holds some of the highest songwriting and playing levels to be heard out of these tracks. It sets the bar for a few others too, and it does so with pure simplicity but massively good effects from a mostly bare ambience with a melancholy vocal delivery. If that isn’t enough, “Falling Down” might even be a slightly better song to go with it all with certainly one of the album’s finest tracks. Either way it’s something to be very proud of, and there’s nothing you can take away from that at the end of the day. It helps peel away life’s bad layers and freshly replace them in the process of falling for someone. “How To” gets a little more seemingly robotic at first, but it’s succeeded by its own greatness as it unfolds into another great song which shows the prowess of Stutt without sounding too clinical or stale and actually- clocks in with the better tracks in my opinion. But there’s also tracks like “Virginia” which get plenty of respect but might be more personal oriented when fairly compared to some others but if you’re following it all comes out in the mix. “Shower Song” finds itself as properly placed as the rest, which pretty much results in getting closer to the end of a day in the life and gets even a little more personal-space oriented, but that voice keeps anyone interested and it does bring things to another point with the next track always connected somehow to the one before it. And after all the question asked in the prior track, “Sleepless” makes all the sense in the world before ‘Cloudy Covers” take you away. Resin is not just a great album, but Pezzettino should be globally discovered by now.